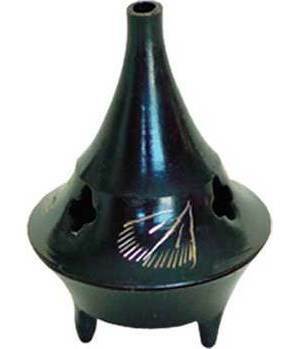 Metal cone incense burners have been around a long time. This one is well finished with cut out star shapes. Base has 3 feet to elevate it from surfaces. Top has hole for smoke.